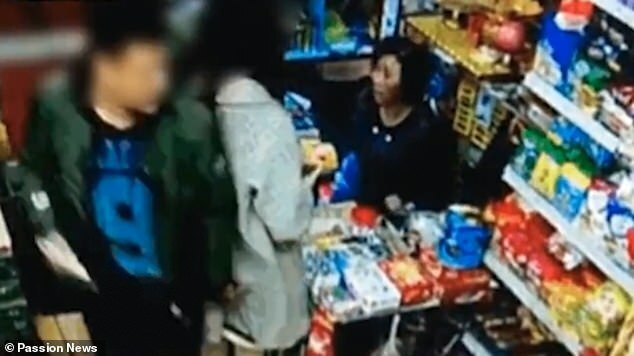 A man has been detained by police in north-east China for assaulting two young women after he was caught groping one of them. 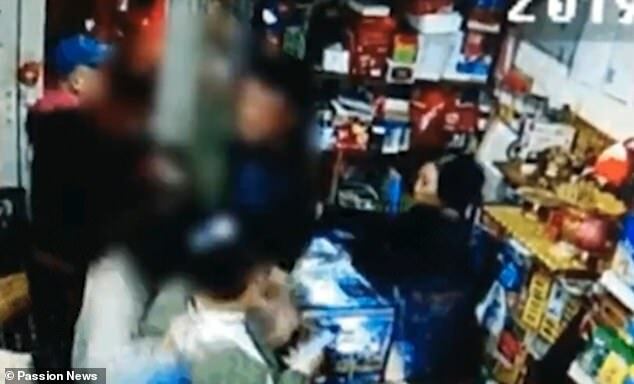 Shocking CCTV footage shows the 38-year-old man, surnamed Yang, walking past the woman and grabbing her backside at a convenience store in Changchun, Jilin province on Saturday night. 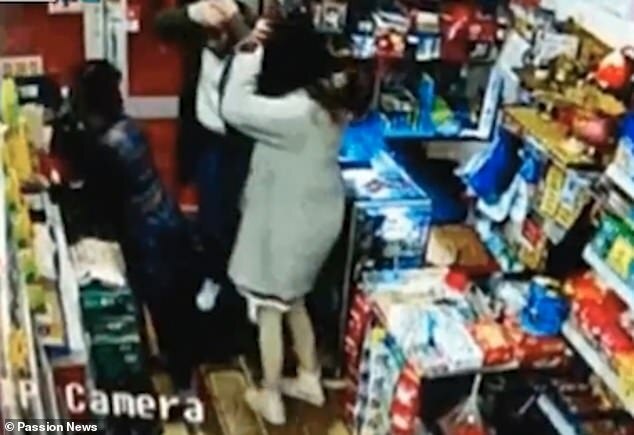 The woman and her friend reacted immediately and called out the pervert, who flew into a rage, grabbed an empty beer bottle and started smashing it over their heads. 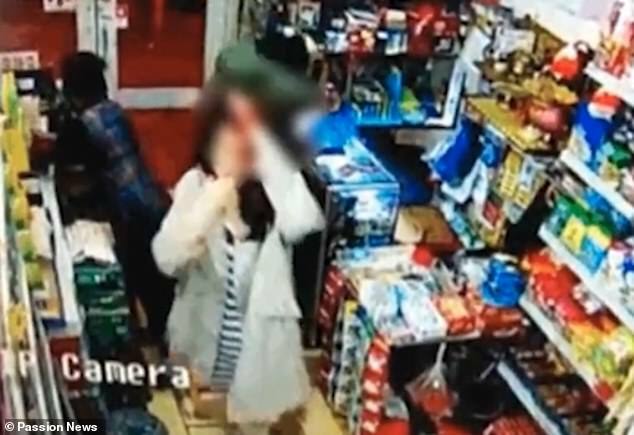 The video shows the two women, aged 24 and 25, desperately covering their heads and trying to avoid the blows. The man fled the scene on a taxi following the assault and the women were rushed to hospital and treated for cuts all over their heads, according to Changchun police in a statement yesterday. The shocking incident came to light after one of the victims posted on social media to appeal for justice. She has also filed a police report and officers on Tuesday arrested Yang in Qingdao city, Shandong province, more than 1,500 kilometres (932 miles)away from Changchun. The man admitted his crimes to police and is currently under criminal detention in Changchun amid investigations. The woman, who is a student at Jilin University, said she and her friend are recovering from their injuries, according to an updated post on Tuesday on Chinese micro-blogging site Weibo. The man's actions were heavily criticised on Weibo, where net users offered their sympathy and support to the victims. 'You can't speak up after getting sexually harassed. If you do, you get beaten up,' one user commented sarcastically. 'This man must be heavily punished!' another comment read. 'This is why all women should learn self defense and carry pepper spray on them,' another person said.